Itanagar: Prime Minister Narendra Modi Saturday inaugurated and laid foundation stone of projects in Arunachal Pradesh worth over Rs40 billion (Dh2 billion) and said his government was giving a lot of importance to improving connectivity in the sensitive border state. Addressing at function at the IG Park in Itanagar, he said his government was prioritising the improvement of the highway, railway, airway and power situation in Arunachal Pradesh, which he alleged was neglected by the previous governments. “In the past 55 months, I have paid several visits to Arunachal Pradesh and today inaugurated and laid foundation of projects worth over Rs40 billion,” he said. The prime minister said work is going on for projects worth Rs130 billion in the state and alleged that the previous regime neglected the northeast region. Modi added that his government has allocated Rs440 billion for the region which is double the amount the previous UPA government did. 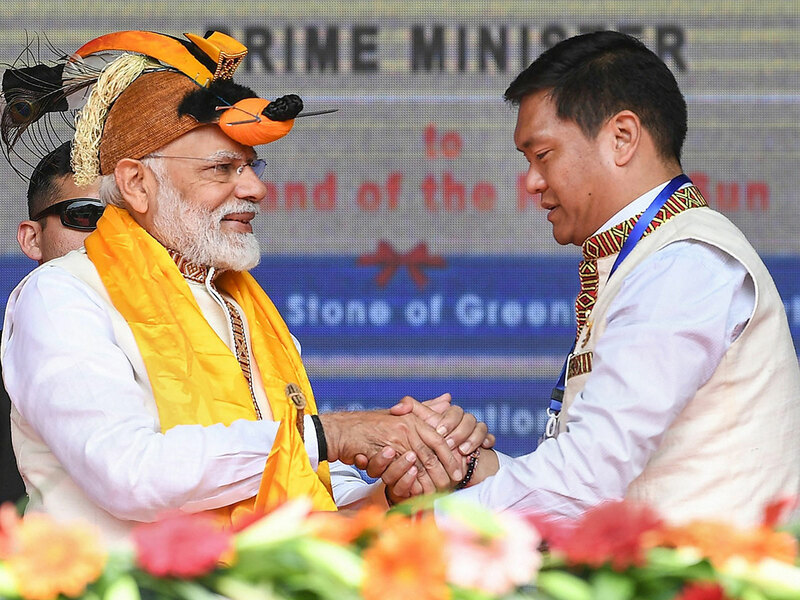 Modi laid the foundation stone for construction of greenfield Airport at Hollongi and inaugurated an upgraded and retrofitted airport at Tezu in Lohit district at a worth of Rs1.25 billion through remote control at a function at IG Park. 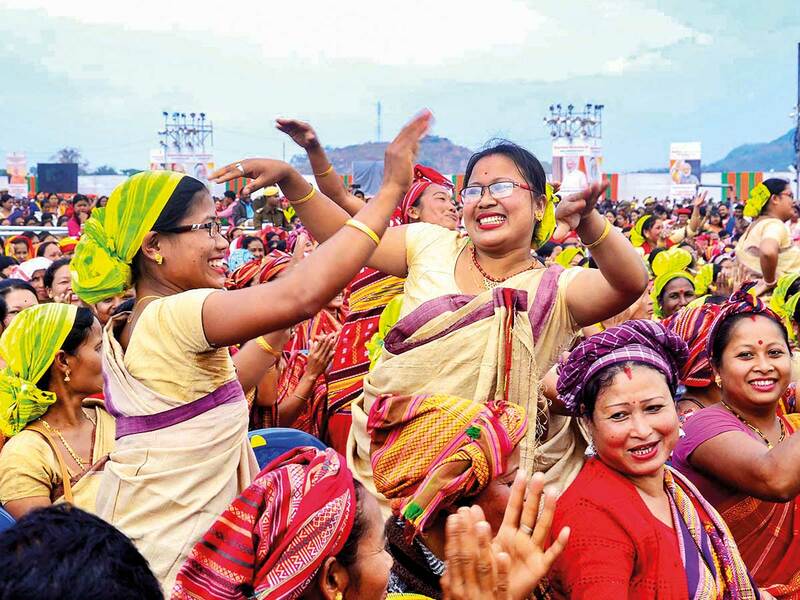 The PM expressed hope the channel will act as an ambassador of the culture of the state and will familiarise people across India with the beauty and culture of Arunachal. The permanent campus of FTII will come up at Jollang-Rakap (Jote), Papum Pare. This is a third Film and Television Institute of Ministry of I & B, the first two being FTII Pune and SRFTI Kolkata. “In this year budget we have introduced a new scheme PM Kishan Sanman Nidhi, under which an amount of Rs6,000 will be deposited to the account of the farmers per year who have only two hectares of cultivable land in order to support them,” Modi said and assured all possible support to the state. The PM said under the UDAN scheme, steps were being taken to provide service of civilian aircraft at a lower cost in the state and road projects worth Rs500 billion are going on which will connect about 1,000 villages. The government is also laying stress on power generation and accordingly sanctioned an amount of Rs30 billion to erect transmission lines to be connected in the grid. A number of Congress workers holding black flags, placards and banners led by Arunachal Pradesh Congress Committee general secretary Chera Taya took out a rally and tried to proceed to the venue of the PM’s function but were stopped by the police.